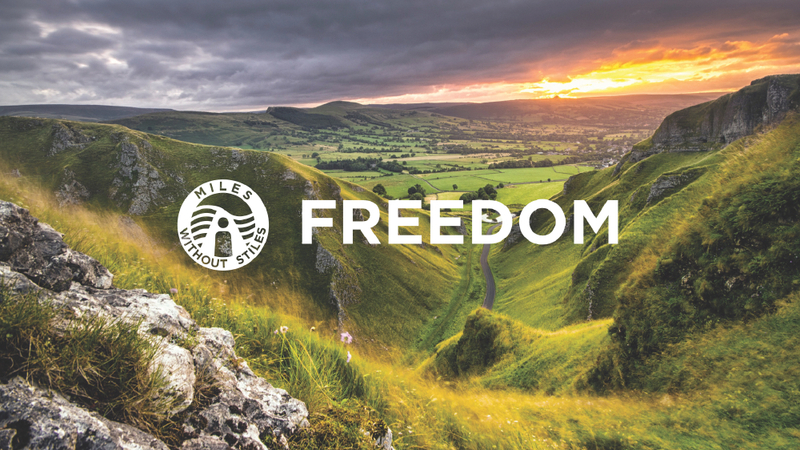 ‘Miles without Stiles’ is a new kind of book, written by Sue Smith, who works with the PDNPA and it’s partners to promote Easy Access Routes around the Peak District National Park. 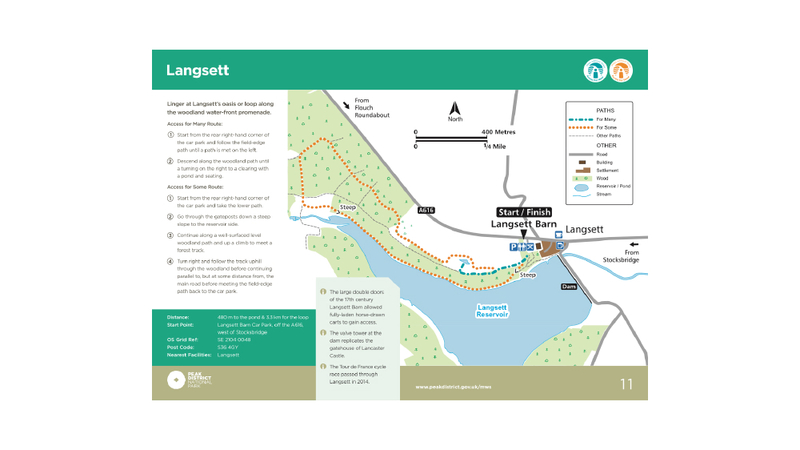 Hammer Design were chosen to take the idea through the whole process, from concept through to published. Offering design services and support along the way. 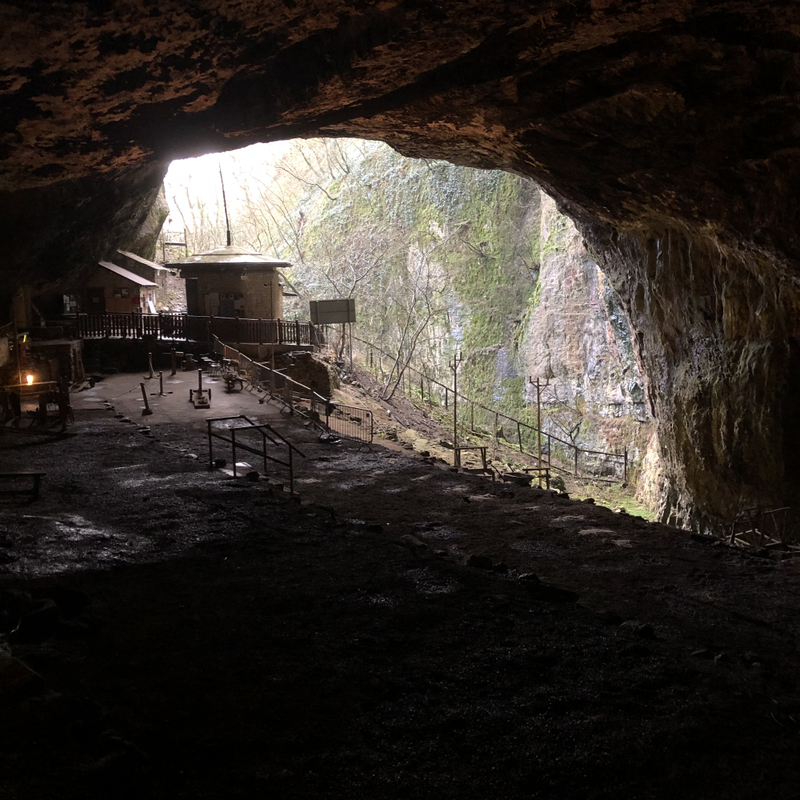 It was a pleasure to carry this work out. 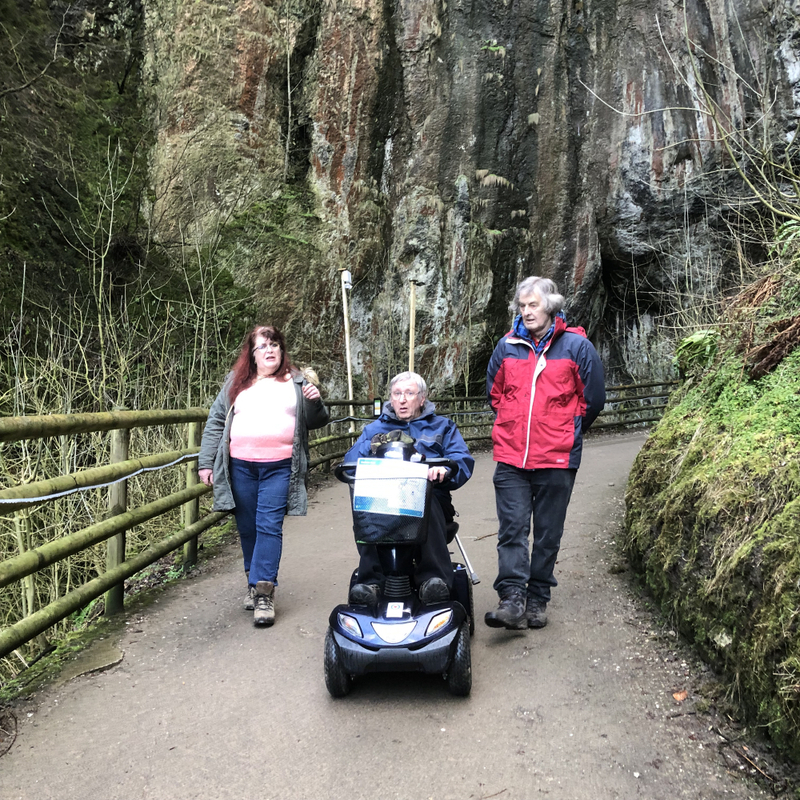 Working in conjunction with the Park, an organisation close to my heart, Sue in particular and building on the foundation of other accessibility work with Gillian Scotford and Jane Cooper, of Access for All UK and Accessible Derbyshire, was a privilege. 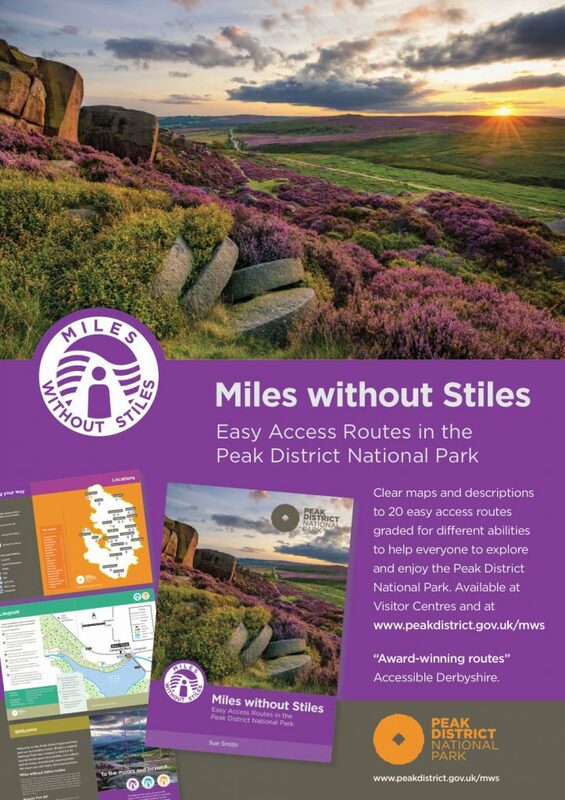 A3 ‘Miles without Stiles’ portrait poster for the Peak District National Park Authority. 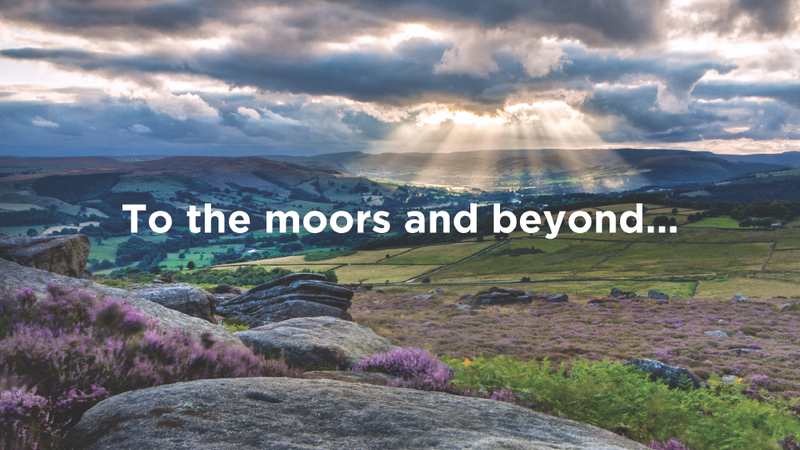 ‘Miles without Stiles’ title image from Burbage Edge in the Peak District looking across the Green Drive. 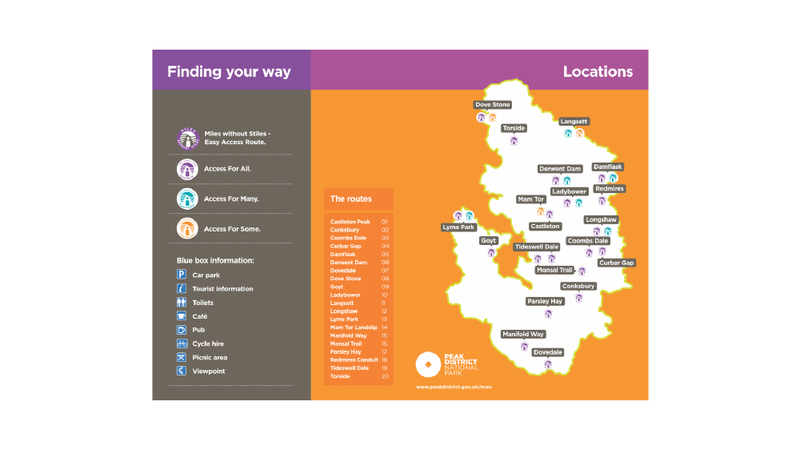 The overarching map with graded routes around the Peak District..
20 colour coded maps from from Richard Ross for the guidebook, made as simple as possible to read for accessibility purposes. 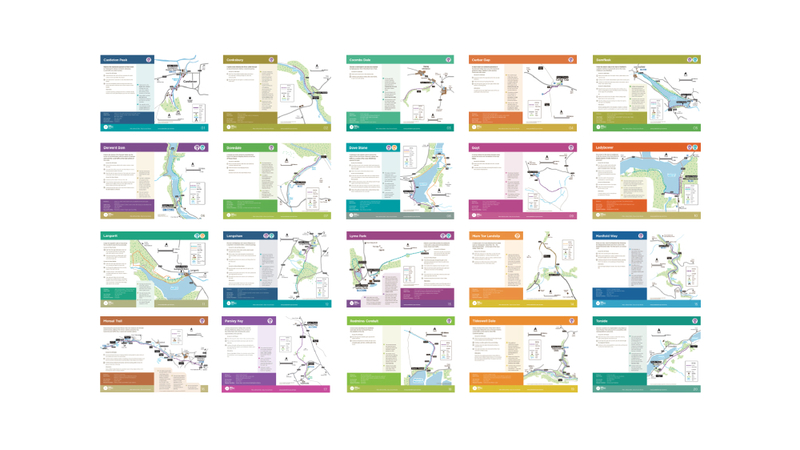 20 colour coded maps from Richard Ross for the guidebook, made as simple as possible to read for accessibility purposes. 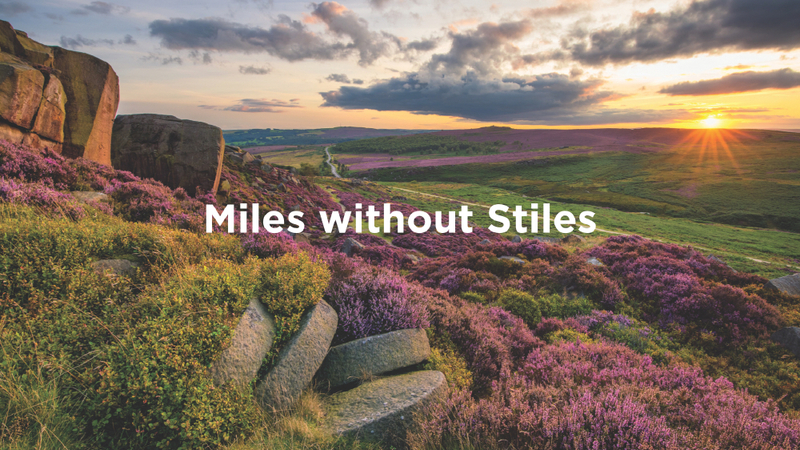 I would like to thank you for the excellent work that has gone into producing our first Miles without Stiles handbook. 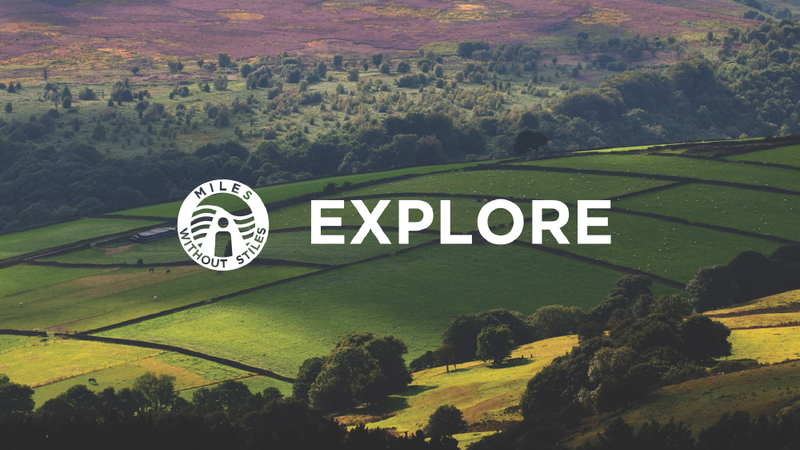 The design is vibrant and engaging and will inspire people to explore and enjoy the Peak District National Park. Thank you as well for guiding me through the process. 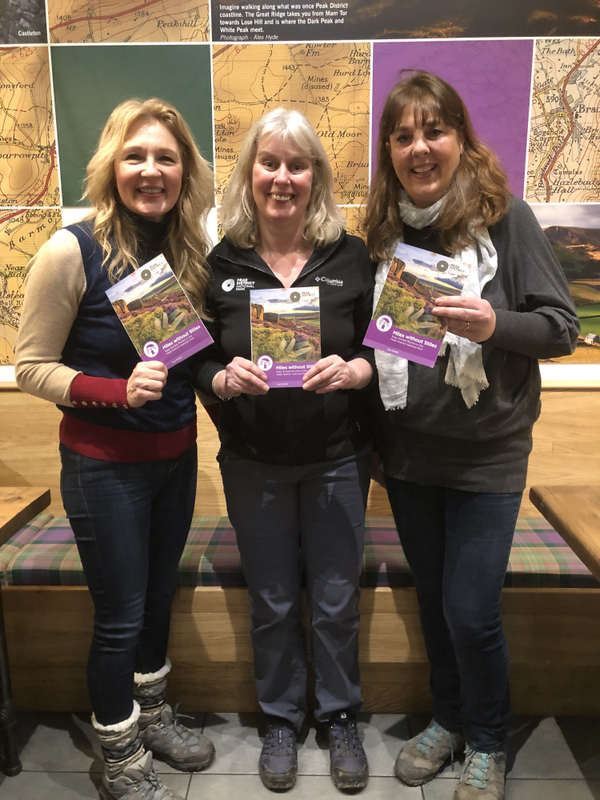 Book Launch at the ‘Giant’s Arse’, Castleton, Derbyshire. 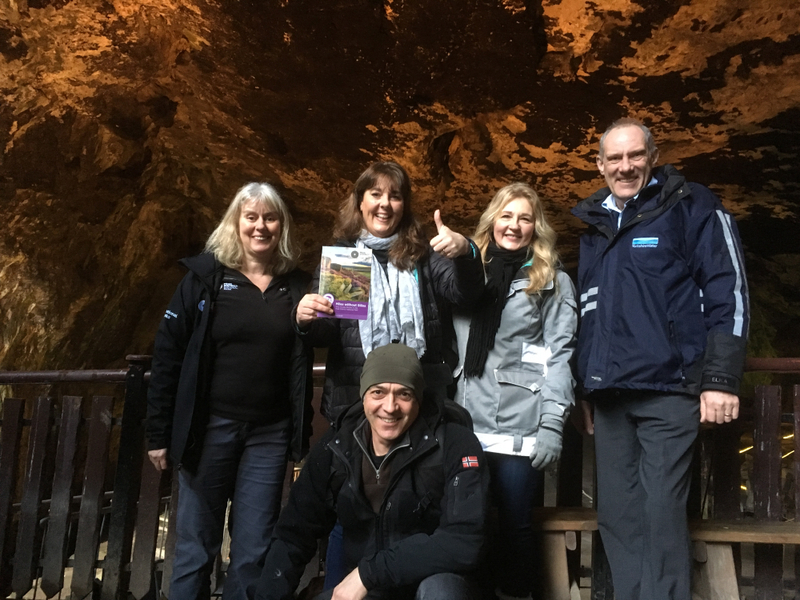 L-R. Sue Smith, Gillian Scotford, Jane Cooper, Yorkshire Water’s Geoff Lomas. Si Homfray to front. © Stephen Bullock. 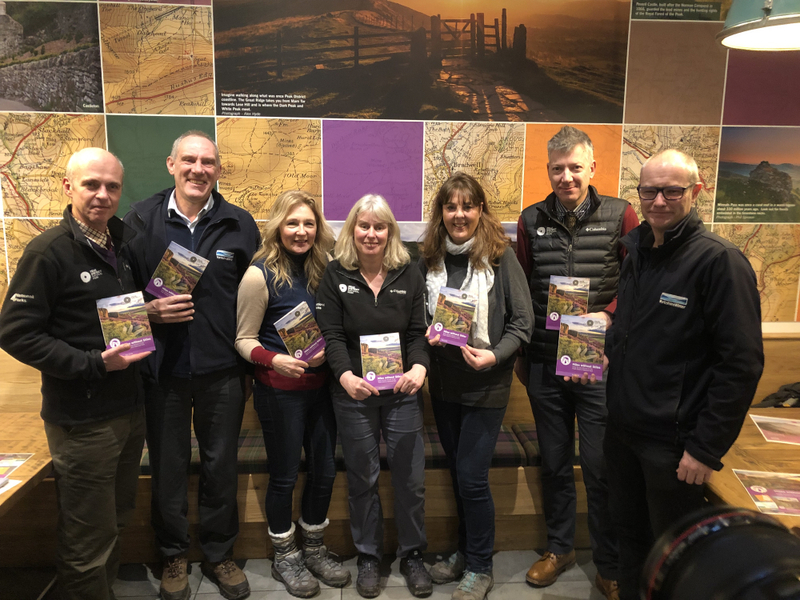 Book Launch at the Castleton Visitor Centre and at the ‘Giant’s Arse’, Castleton, Derbyshire.